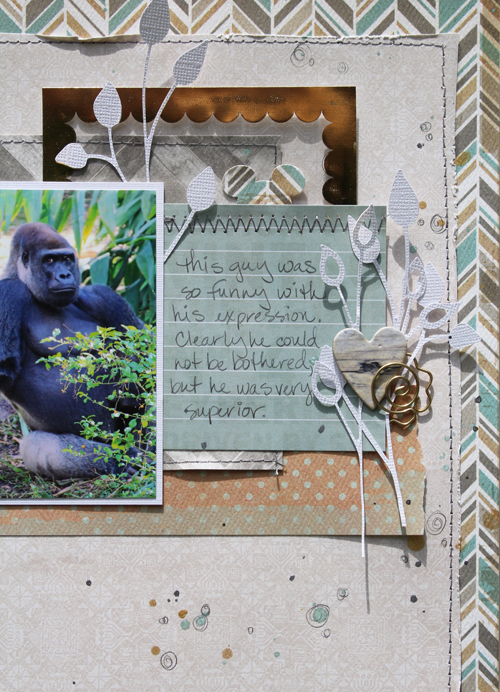 Today I have two layouts to share using the "Durable" collection by Authentique from the Scraptastic Store. This collection is sort of a guys and vintage cars type of a collection but I don't have that kind of photos and I still love the papers. For my first page I used this collection but added a splash of red paper from the "Playful" collection by Authentique. 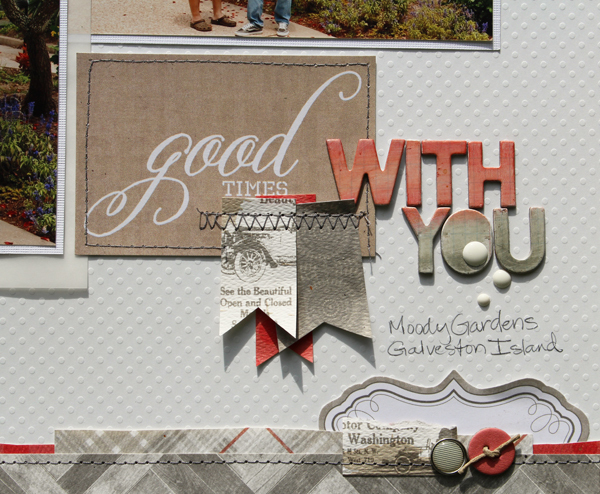 I also added a couple of chipboard buttons from "On Trend" by MME. 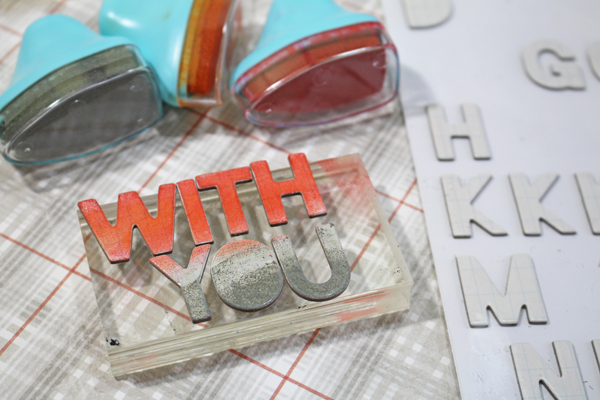 The title letters are white with a grid on them but I wanted them to fade from red to grey so I added ink and then used my heat tool a bit to set them and then wiped them off so they would be lighter. here is the finished title. I really like the more personalized look. For my second page I wanted to scrap these photos of this amazing dude at Animal Kingdom. 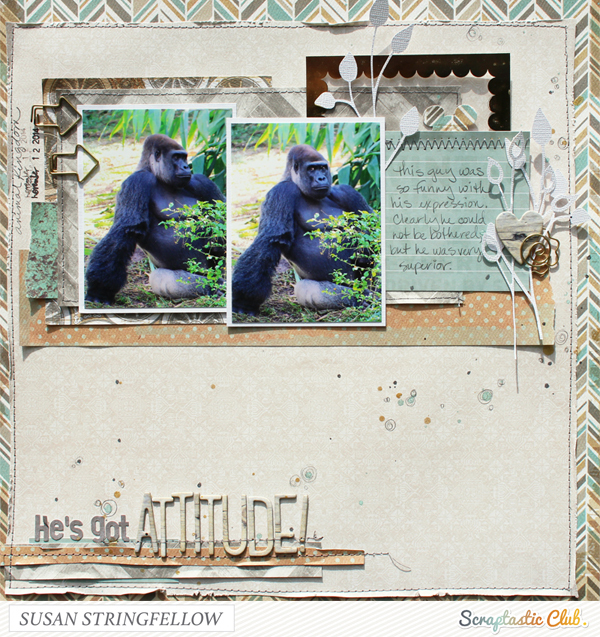 I used the same collection but added more of the teal colored papers and journaling card. 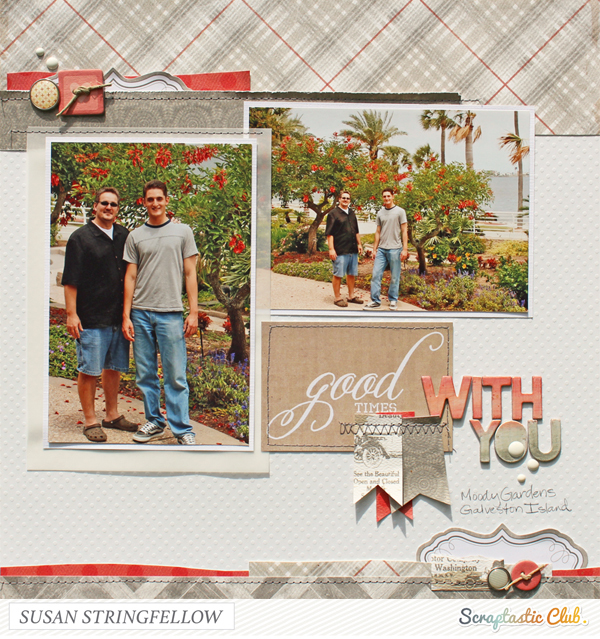 I also added a light background paper from the "Grateful" collection by Authentique. I wanted a touch of gold so I used these shaped antiqued gold paperclips by Amy Tangerine and a gold transparency frame from the Open Book collection by Maggie Holmes. So when you are looking at papers to go with your photos, look beyond the theme of the collection to the colors, because you may find the perfect unexpected papers to use.